Description: Simple Stories Collection Kissing Booth Paper 12 in. x 12 in. Elements Vertical 4"x 6"- Double sided cardstock. 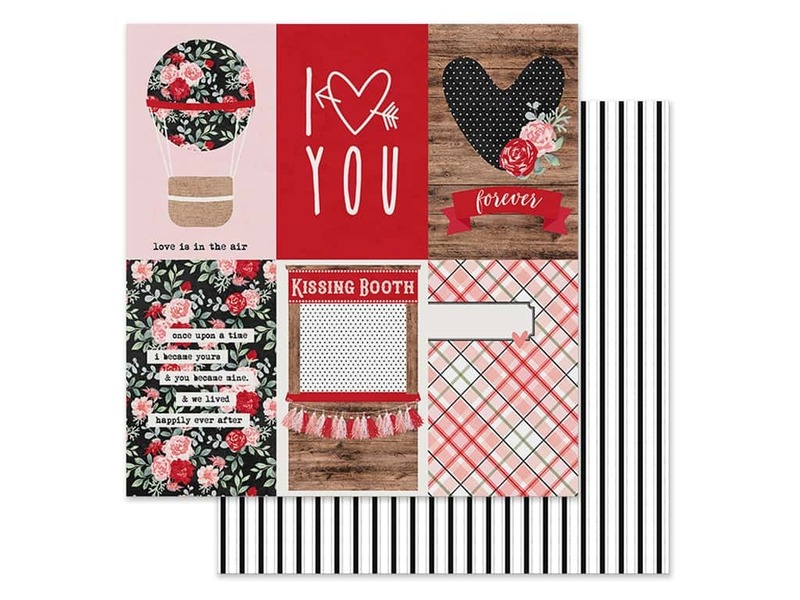 One side has sections with a hot air balloon, roses, hearts, tassels, label, a diagonal plaid, and captions: love is in the air; I heart you; forever; kissing booth; and once upon a time I became yours & you became mine. & we lived happily ever after. The reverse side is white and black stripes with rows of dots.